A shopkeeper and two other men waited for darkness before murdering five people in an explosion, “hoping their evil plans would go unnoticed”, a court has heard. Leicester Crown Court heard Arkan Ali was a “prime candidate” for having doused the basement of a Polish supermarket with petrol before the blast and ensuing fire in February. The jury was also told co-defendant Hawkar Hassan remained nearby in a white Audi and was “in reality… up to no good” as he acted as a getaway driver. The prosecution said shopkeeper Aram Kurd had been communicating with Ali on alleged victim Viktorija Ijevleva’s phone to tell him “all was ready” so he could “light the petrol himself”. The trio allegedly hatched their plan for the explosion in an 80-minute meeting in a coffee shop as Ali’s partner Ms Ijevleva was in the store, called Zabka. Prosecutor David Herbert QC said the defendants claimed that, as the explosion took place, they drove away from the shop on Hinckley Road, Leicester, in “blissful ignorance”, which he said “defies credibility”. Ali, 37, Hassan, 33, and Kurd, 34, have pleaded not guilty to five counts of murder and five alternative counts of manslaughter. The trio also deny conspiring with 22-year-old Ms Ijevleva, the partner of Ali, to make a gain by dishonestly pursuing a claim on an “overinflated” insurance policy worth around £300,000 in respect of a fire at the shop. Ms Ijevleva, Mary Ragoobeer, 46, her teenage sons Shane and Sean, and 18-year-old Leah Beth Reek, who was Shane’s girlfriend, were all killed in the blast. Disturbing bodycam footage shown to the court showed a casualty, Thomas Lindop, under the rubble with a severe head injury. He had been walking by the shop at the time of the blast and suffered a traumatic brain injury and fractures to his skull, head, pelvis and spine, leaving him in hospital for around three months. Families of those who died were in tears as they heard cries for help on some of the footage shown to the court, including teenager Scotty Ragoobeer, who survived the explosion in what the prosecution described as a “miracle”. Continuing his opening of the case on Thursday, Mr Herbert spoke of how witnesses saw the car drive away from the shop. 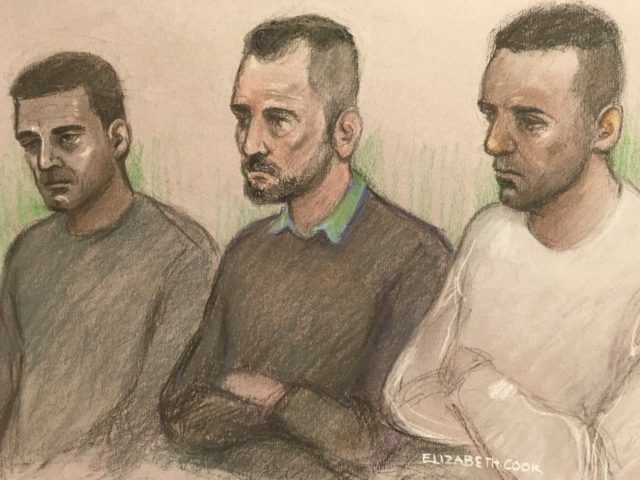 Speaking about where the defendants allegedly came up with the plan for the explosion, Mr Herbert said: “They went to the High Cross shopping centre and went to Costa Coffee. Addressing the moments before the devastating blast, Mr Herbert said: “The white Audi remained nearby and the reality is that that behaviour showed that (Hassan) was up to no good and had been essentially acting as a getaway driver for Arkan Ali. “Given they were there and made no attempt to go back to Coventry, it demonstrates they must have been up to no good. The court heard that Ali and Kurd were in contact with each other moments before the explosion. Mr Herbert continued: “What we suggest was, plainly, Ali was informing Kurd that all was ready – either because he had lit the fire himself or, even if he wasn’t the one who ignited it, he was saying all was ready so that Kurd could light the petrol himself. “The fact that nobody at that stage tried to inform (Ms Ijevleva) about what was happening in the basement showed that they must have intended her to be caught in the explosion.